Modern are continually driven to develop stylish and affordable home improvement solutions that assist Australian homeowners in increasing the value and comfort of their home. With pride in our workmanship, we are on a mission to improve Australian homes from top to bottom, inside and out. Designed with the consideration of our unique climate and needs of everyday Australians, we offer a range of home improvements to suit the style of any home. When you buy Modern, you buy Australian owned & manufactured quality. Transform your old roof with a roof restoration from Modern and you’ll have the best-looking roof on your street. Modern utilises the latest technology to protect your home and find ways to help improve insulation. The ever-versatile range of Modern shutters are not only practical but are stylish as well. 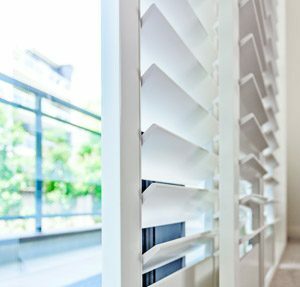 There has never been a window furnishing packed with so many benefits as Modern Roller Shutters. The insulated design keeps your home cooler in summer and warmer in winter, helping you save on your energy bills, while also adding security to your home. Modern Internal Plantation Shutters keep out prying eyes whilst offering a timeless elegance to your home. While Modern Aluminium Louvre Shutters help transform your outdoor area into an entertaining dream. Modern shutters use only premium materials, engineered and perfected over years so you’ll really notice the Modern difference. Harness Australia’s abundant sunlight with Modern Solar Panels and start generating renewable energy on your very own roof for free. Modern only uses premium technology solar panels with outstanding warranties. As one of Australia’s leading total home improvement companies, we have over 40 years’ experience in home improvements, specialising in window roller shutters, internal plantation shutters, aluminium louvre shutters, solar energy and roof restorations. With branches nationwide, we provide everything from initial consultation and installation, right through to after sales service support. Modern products use only premium materials and designs engineered and perfected over the years. Our state-of-the-art production facility in Adelaide is one of the biggest roller shutter manufacturing plants in the southern hemisphere and our solar panels are only from Tier 1 and Tier 2 sources, ensuring the highest quality for your home. We employ only the best technical staff, and even have an industrial chemist to test and perfect our coatings to ensure our superior products resist corrosion and fading in the most extreme Australian conditions. Modern also offers the best trained and qualified team in the industry to ensure expert advice, superior service, on-time delivery, and fully qualified, licensed and insured tradespeople who respect your property and leave it clean and tidy. Australia-wide, Modern works to a standard of excellence – we’re members of the Master Builders Association (MBA) and the Housing Industry Association (HIA). So when you decide on your home improvements, remember the Modern difference and you’ll agree that your home deserves Modern. Experience the Modern difference right now by contacting us with your enquiry or to book your free in-home consultation. 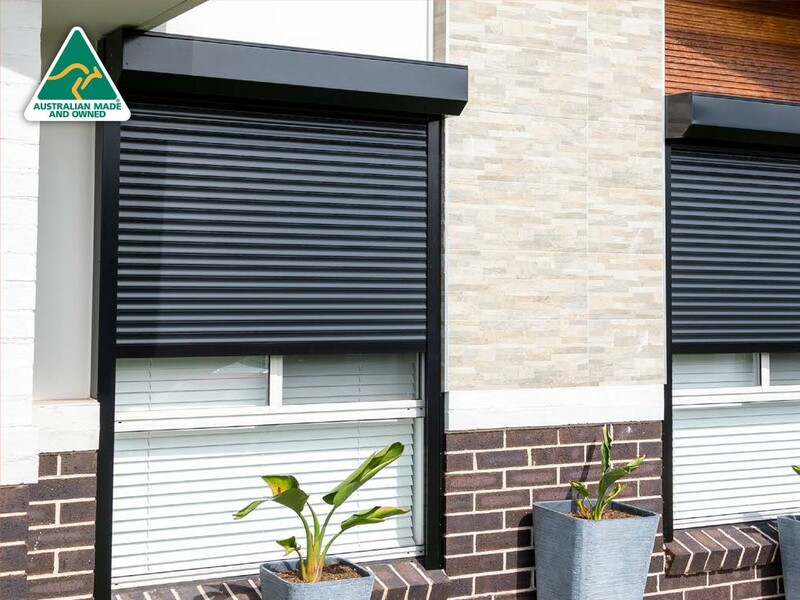 Modern roller shutters have been CSIRO tested in compliance with AS3959 – Construction of Buildings of Bushfire prone areas, against unprotected windows. 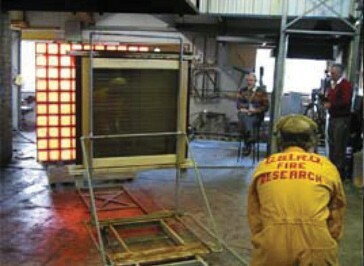 A simulated bushfire exposure test was carried out, with Modern’s roller shutters covering a window compared with an unprotected window. The testing exposed the samples to maximum radiant heat load that a building may be subjected to in an area of high bushfire hazard. Modern roller shutters withstood radiant heat flux of 40 kw/m2 and showed no discernable buckling, with the shutter still operational and providing protection even after 60 minutes of exposure. The unprotected window began cracking from a radiant peak flux of 8 kw/m2 with the window disintegrating just 2.43 seconds later*. In response to devastating bushfires in Victoria in 2009, Australian building Standard 3959 was updated and republished AS3959:2009. The updated Standard speciﬁes requirements for the construction of buildings in bushﬁre prone areas in order to improve their resistance to bushﬁre attack from burning embers, radiant heat, or ﬂame generated by a bushﬁre. The new building code for bushfire prone areas recommends that “Standard windows can be used provided they are completely protected by bushfire shutters complying with AS3959:2009”. Modern Roller Shutters are fully compliant to AS3959:2009. 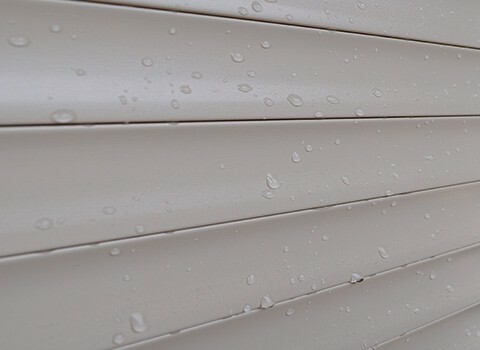 Tested by the Cyclone Testing Station at James Cook University, and Australian made using the best quality materials; Modern roller shutters provide complete protection against strong wind, broken glass, flying debris, lashing rain, and even hail; helping create a barrier to safeguard your home against severe storm damage. Keen to ensure the highest product quality, Modern’s Roof Coatings Division employs an industrial chemist to oversee development and manufacture of coating products and to conduct ongoing research, to ensure all products can withstand the harsh Australian conditions. The partners we work with to develop new home improvement technologies. More on our history and the Modern team. The Modern story began in Adelaide, South Australia, with a steam cleaning business. Ron & Tina Bayley owned and ran Bramalco Steam Cleaning during the 1970s and specialised in residential and commercial properties operating from home and a small depot. A small part of the business at that time was in roof repairs, and in 1987 the directors developed more effective strategies to enable that part of the business to flourish. In early 1988, Bramalco Pty Ltd was formed, so beginning South Australia’s newest and fastest growing business in the home improvements sector. The roof restoration business was born and quickly became the dominant part. Over the next 5 years, drive and imagination saw rapid growth and diversification. The directors recognised the need for efficient, effective management at departmental level to ensure that effective delivery of product and service to the company’s growing customer base was maintained. 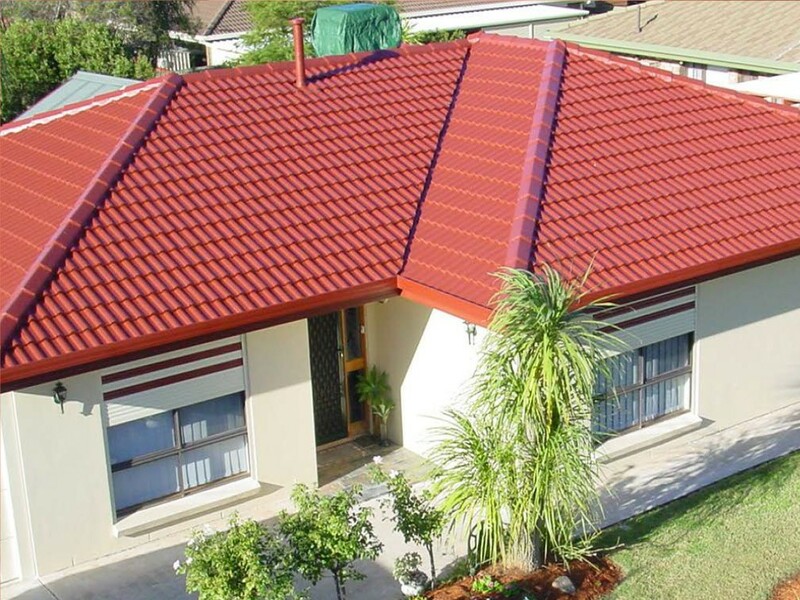 In 1992 a branch of Modern Roof Restoration was opened in Perth, Western Australia. Further expansion followed in 1994 with the introduction of Streamline Roller Shutters to the Perth operation. The combination of experienced Adelaide staff with the new and enthusiastic Perth team quickly ensured a successful Perth division of Modern. 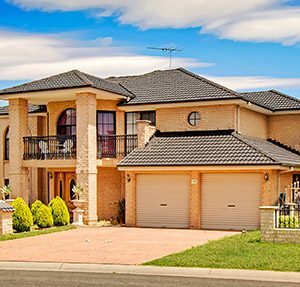 By 1997, Modern Roof Restoration had added Sydney, Melbourne, Brisbane, Newcastle, Wollongong and Central Coast NSW to its sphere of operations. A further multi-million dollar investment in South Australia provided a world class manufacturing facility for roller shutters and ensured leadership in the Australian roller shutter market. A shutter assembly facility was added to the Sydney operation to accommodate the largest state market. Keen to ensure the highest product quality, Modern’s Roof Coatings Division employed an industrial chemist to oversee development and manufacture of coating products and to conduct ongoing research. Constant improvement is at the core of every Modern business division. In 2006 Modern embarked on some intensive research to enhance the environmental qualities of our existing products, and along the way look into further products that every day Australians could install on their home to reduce their carbon footprint. The results of this research were the launch of our heat reflective roof coating called Supablock™ and the release of our second generation Enviro Blind Roller Shutters – both of which provide fantastic thermal insulating qualities which assist to reduce reliance on heating and cooling. But the real company growth came in the form of roof top solar electricity power systems (Solar PV). With this product Modern gave its customers the very real choice of using highly polluting and environment damaging conventional electricity OR replacing some (or all) of this with clean, green electricity straight from the sun and into their homes. Within 12 months of trading Modern Solar had quickly become bigger than Modern itself! Today, Modern is an Australian market leader in Roof Restoration, Re-Roofing, Roller Shutters, Plantation Shutters, Louvre Shutters and Solar Electricity. Modern are proud members of many associations to ensure that we meet the high standards of Australian produced products. A dynamic and innovative company, Modern is one of Australia’s leading home improvement companies. Modern has had continuous growth and provides exceptional career and development opportunities for highly motivated & qualified individuals. We currently have offices in Sydney, Central Coast, Newcastle, Melbourne, Adelaide, Brisbane and Perth and are always looking to the future with plans to grow even larger. Career opportunities available include professional sales agents; call centre & customer service operators; promotional representatives and skilled service technicians/installers. Modern use only licensed tradespeople and are members of the Master Builders Association. Being an Australian owned and operated company; we always use state-of-the-art quality products and have strived to earn a reputation of being a professional company who provide exceptional service to our clients over and above what they would expect. This is where our team comes in. Without these values reflected in the attitudes of our employees, we cannot continue to grow our already fine reputation. In return, Modern offer opportunities for star performers to progress into senior management roles. Modern has excellent opportunities for installation franchises, to install our product ranges. If you have a trade background or enjoy working outdoors, this is an opportunity to earn big dollars and be your own boss.